Please read our terms and conditions carefully and let us know if you have any questions. You automatically accept these terms and conditions upon payment for any service or experience organised by Above & Beyond Sarl. ‘We’, ‘us’ or ‘our’ refers to Above & Beyond Sarl. and anyone working on behalf of the business. ‘You’, or ‘the client’, refers to the person who is making the booking and any person or persons on whose behalf a booking is made (including any person added or substituted at a later date) or any of them as the context permits. ‘Service(s)’ refers to our events, concierge, booking, chalet, corporate, PA or translation services. ‘Experience(s), or (master)class(s), refers to the products offered via our site, or bespoke experiences organised by us. ‘Services’ or ‘experiences’ you book through us will be undertaken either by us or through one of our pre-approved ‘partner(s)’, operator(s)’ or “Supplier(s). Above & Beyond reserves the right to hand over any service or experience to another partner or service provider of our choosing. The acceptance of a quote and placing of an order constitutes your acceptance of Above & Beyond’s Terms & Conditions of trading but does not constitute the creation of a contract. Above & Beyond reserves the right to decline to process an order for any reason whatsoever. The contract is between you and Above & Beyond Sarl, once we have processed your order and received payment. In the instances that Above & Beyond is acting as an agent and is booking a service for a client with a partner or supplier, once client payment has been received by Above & Beyond, and the client is under contract with Above & Beyond, this automatically means that the client will also be bound by the terms and conditions of the partner and/or supplier. Partner(s) and Supplier(s) terms and conditions will be supplied to the client if needed, but the client can also request a copy of the partner’s contract and terms and conditions upon confirmation. When booking an experience, in most cases the full amount must be paid immediately, unless otherwise stated by email. We accept payment via Visa, Mastercard, Amex, bank transfer or cash. Above & Beyond reserves the right to refuse any client if payment has not be made in full within the timeframe stated in your booking confirmation. When making an international transfer, please ensure that any additional bank transfer charges are paid by you and are added to the final amount, failure to do so could result in cancellation of the experience, without refund. We charge an additional handling fee for payments we make on your behalf for some bookings. Please ask for more information. For some tailor-made packages and experiences, we charge an initial fee which is payable up front by bank transfer, or credit card via the site. This is a non-refundable deposit, which covers our time to prepare your proposal. We aim to negotiate for the best price available for our clients. Should the booking become more complicated, and our clients require changes and or-organisation, we charge our services at an hourly rate. Unless another rate is agreed and stipulated in a contract or the price for the whole event is provided and paid for, the man-hours required for planning an event or wedding are charged at an hourly rate of 120CHFs an hour, we will also charge a service fee on top of the hourly rate, of 27% of the total costs and expenses of the entire event. A cancellation by a client will only be effective when notification has been received in writing. Any changes or cancelations made by the client will be subject to cancellation fees relevant to notification times. Unless otherwise stated in your booking confirmation, you will be required to pay cancellation charges as set out below*. For a high-season booking however, no refund will be given to clients if they wish to cancel less than 6 weeks before the event is due to take place. Please make sure you or your clients (for agencies) have suitable insurance to cover the trip and events organised should cancellation occur due to weather or other unforeseen circumstances. Where the cancellation charge is shown as a percentage, this is calculated on the basis of the total cost payable by the person(s) cancelling excluding amendment charges. Amendment charges are not refundable in the event of the person(s) to whom they apply cancelling. We reserve the right to levy a cancellation charge. Above & Beyond reserves the right to cancel or change the time and date of any experience or masterclass if there are not enough people registered to attend; in this instance Above & Beyond will aim to give the client as much warning as possible, and will look to offer alternative options. Above & Beyond is not liable for adverse weather conditions, terrorism, breakdown of mechanical installations or any other incidents beyond the company’s control and 100% of the fees will be charged to the client in any situation resulting in cancellation of inability to attend. Above & Beyond also reserves the right to charge the full amount in the event of an accident by the client or illness. Above & Beyond does not accept any liability for accidents. Clients are required to be insured for Third Party liability and to arrange a policy that provides for personal, medical, rescue, damage to rental property, and holiday cancellation insurance. Above & Beyond does not insure clients of the agency. Please arrive with plenty of time to get ready for your experience or class; failure to do so will result in a shorter experience or cancellation of the entire experience with no refund. In some instances, depending on whether your experience allows for this, if you alert us of your tardiness, whoever is taking your experience, might wait for 15 minutes, but no longer, and this is at the discretion of whoever is providing the experience or service. Whilst we will endeavour to assist, we cannot guarantee any such requests can be met by us (Above & Beyond Sarl) or the supplier concerned. Where amendments can be made you will be responsible for reimbursing us for any costs or charges incurred by us or incurred or imposed by any suppliers. *Suppliers may have different cancellation charges/timetables to those set out above. If this applies to your booking, you will be required to pay the cancellation charges imposed by that Supplier(s) or partner. Please ask for further details at the time of booking. If for any reason, you are unable to travel to your experience, whether for personal reasons or as a result of transport problems, the Suppliers are still entitled to be paid for the confirmed arrangements. Please therefore ensure that the insurance you purchase will refund the cost of the arrangements if you are unable to take them in such circumstances. If no written notice of cancellation is received and the client does not arrive, cancellations will be deemed to have been received on the due date of your experience. Above & Beyond Sarl. reserves the right to resell any part of the cancelled experience, and this shall in no way alter their right to levy cancellation charges. Above & Beyond reserves the right, in any circumstances, to cancel all of your arranged experiences and services. Compensation will not be paid for alterations caused by war, political trouble, strike, epidemic, terrorist acts, acts of god, natural disaster, fire, technical problems to transport, closure or congestion of airports, adverse weather conditions. There will be no refunds granted for late arrivals. Above & Beyond Sarl. will not pay any refunds in respect of unused experiences or services either. If a supplier is forced to alter or cancel your arrangements then we shall pass on to you any options, refunds and/or compensation offered to you by that supplier or partner. As we act as an agent for the supplier or partner, we cannot accept any liability for any alterations or cancellations made. Where we offer you assistance in liaising with the supplier in relation to alterations and cancellations made by the supplier, we do so on a goodwill basis and in our capacity as an agent only. All prices shown on The Above & Beyond website are in CHFs and all transactions are conducted in CHF. If ordering from overseas or from a foreign currency account you may be charged fees by your bank to process the transaction. These fees are in addition to any prices on our website and are beyond our control. All costs incurred to the client through bank and exchange charges for credit card transactions and bank transfers must be paid for by the client. Except where otherwise stated, we act only as an agent in respect of bookings we take and/or make on your behalf. The actual work for most of the experiences we offer will be by undertaken by third party experience operators, suppliers or partners acting on our behalf. We accept no liability in relation to any contract you enter into for any arrangements or for the acts or omissions of any supplier(s) or other person (s) or party(ies) connected with any arrangements. For all arrangements, your contract will be with the supplier. The terms and conditions of the supplier(s) will apply to your booking. These terms and conditions may limit and/exclude the supplier’s liability to you and include provision for the payment of cancellation charges. Copies of these conditions are available on request from us. Experience descriptions, format and timings given on The Above & Beyond website and in any other literature are only intended to present a general idea of the experience, and shall not be considered binding. In particular, photographs are for illustrative purposes only and do not form part of any contract between you and Above & Beyond. As we offer experiences at a wide number of venues in and around Verbier, details such as session lengths, itineraries, equipment used and numbers of participants may vary from location to location. Many experiences will be “open” days meaning that other members of the public will be taking part too. This could mean taking your turn with other members of the public. If delays, curtailments and breakdowns are not within Above & Beyond’s control, we cannot be held liable if these should occur. Please note that we reserve the right to alter any part of the experience where such an alteration has been imposed by the supplier. We cannot be held responsible for descriptions by or on any third party or agent sites. Experiences may occasionally be withdrawn for reasons outside of our control, and Above & Beyond cannot be held liable for any costs incurred as a result of this. Should this occur, you will be advised and offered the opportunity to exchange your experience for one with an equivalent face value. If alternatives are available, no refunds can be offered. You are free to enquire about any preferred date, however please note that experiences are subject to availability and, in many cases, are subject to weather conditions (if your experience is weather dependent we advise telephoning us and/or the supplier before you set out to confirm that the event will take place). To avoid disappointment we recommend that clients book well in advance, at least 6-8 weeks for the majority of experiences. During peak periods it may be necessary to allow a longer notice period although some operators may occasionally be able to fit in a booking at short notice. We recommend booking as early as possible to avoid disappointment. Most experiences are subject to restrictions. These could include (but are not limited to) age, height, weight, physical and medical restrictions, and may vary from supplier to supplier, so please check before making your booking. In most cases, details of these restrictions are available on our website, however in the instance they are not on our site, or you have booked a bespoke experience, please do contact us and we will supply you with the correct information. It is your responsibility to ensure that you choose an experience appropriate for the intended recipient(s) and it is your responsibility to double check that the restrictions are not prohibitive. If you are unsure of the suitability please telephone us and we will be happy to advise you. We reserve the right to vary the prices of the experiences we offer. Locations are correct at the time of going to press but may change or be withdrawn for reasons beyond our control. For overseas experiences, prices may fluctuate with exchange rates. The prices listed are in Swiss Francs CHF. You must make payment to us for the Arrangements in the amount/s that we have informed you by the dates notified to you. In the event that you have not paid all sums due in full by the due date(s) then we on behalf of the Supplier will have the right (in addition to any other remedy) to treat the booking as having been cancelled by you. You must pay the cancellation charges depending on the date we reasonably treat your booking as cancelled. We will not supply confirmation to you until payment has been made in full. We reserve the right to correct errors in both advertised and confirmed prices. We will do so as soon as we become aware of the error. Please note, changes and errors occasionally occur. 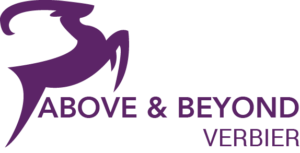 Above & Beyond has agreements with its suppliers regarding their standard of performance and, where appropriate, suppliers are registered with their relevant controlling or regulatory bodies. Once a booking has been made with a supplier or partner, the client is also bound by the Terms and Conditions of that supplier. By purchasing an experience or service you acknowledge that experiences are dependent on factors beyond the control of Above & Beyond and agree that Above & Beyond is not liable for the cancellation, postponement or alteration of any experience for reasons beyond its reasonable control (including but not limited to weather-related reasons, mechanical failure, location changes or otherwise. Please note that experiences and other services are subject to change without notice. This does not affect your statutory rights. We welcome your feedback on all of our experiences and services. If you encounter a problem on the day, please immediately bring it to the attention of the host or experience supplier immediately so that they have a chance to put matters right. If you have attempted resolution but the problem was not resolved on the day, please let us know within a week of your experience and we will be happy to take the matter up with the operator on your behalf. Please note that the supplier will have the opportunity to investigate and respond. Where we do provide any assistance you must reimburse us for all costs we incur as a result. If you have any complaints concerning any services we provide, you must inform us straight away in writing and in any event within 28 days of the end of any arrangements booked through us. Except as set out in ‘our responsibilities’, we regret we cannot accept any liability if we are not so notified. Where possible, we ensure that the information contained in what we publish is accurate and all the information given is based on the information given to us by suppliers at the time we incorporate it onto our website and marketing documentation. The information on the Above & Beyond website and other advertising sites is constantly updated. Regrettably errors and changes may occur. If you would like us to check a particular point then you must request it in writing. Above & Beyond is not responsible for printing errors or inadvertent omissions. All rates, experience, service and property details are subject to change without prior notice. In most cases, as we act only as agent, we will have no responsibility for any errors or incomplete or inaccurate information on our website or in any communication or documentation, including pricing errors, except where the error was made by us (and not for example due to the information passed to us by a Supplier containing an error(s) of which we were unaware). Responsibility for any error made by us is subject to the limitation in ‘our responsibilities’. We and the photographers own the rights to images taken at your events and experiences, and unless agreed before the event in writing, we observe the right to use content on our social media platforms, websites and for PR and marketing purposes. All clients must behave as per the Swiss local laws and regulations and must not cause damage, distress, danger or annoyance to other clients, property and/or any third party. We expect all clients to have consideration for other people. If in the reasonable opinion of any person in authority (for example any Supplier), you or any member of your party behaves in such a way as to cause or be likely to cause danger, upset or distress to any third party or damage to property, that person is entitled, without prior notice, to terminate the arrangements of the person(s) concerned. In this situation, the person(s) concerned will be required to leave the experience, and Above & Beyond has the right to cancel any other experience or service associated with this person(s). We and the Supplier will have no further responsibility toward such person(s). No refunds will be made and we and the Supplier or partner will not pay any expenses or costs incurred as a result of the termination. When you book through us, you accept responsibility for any damage or loss caused by you or any member of your party. Full payment for any such damage or loss must be paid direct at the time to the Supplier concerned. If you fail to do so, you will be responsible for meeting any claims subsequently made against us (together with our own and the other party’s full legal costs) as a result of your actions. Our maximum liability to you if we are found to have been at fault in relation to any service we provide (as opposed to any service provided by any third party or supplier for whom we are not responsible) is limited to the commission we have earned or are due to earn in relation to the booking in question. We do not exclude or limit any liability for death or personal injury which arises as a result of our negligence or that of our employees whilst acting in the course of their employment. It is a condition of every booking that you and party members are adequately insured. Please ensure you arrange insurance that provides cover that is comprehensive and as a minimum covers third party risks, cancellation. All insurance premiums should be paid as soon as possible as cover is not effective until these have been paid. It is your responsibility to ensure that the insurance cover you purchase is suitable and adequate for your particular needs. For example, many insurance policies do not cover certain winter sports. In the instance of renting accommodation, we strongly advise homeowner extension insurance to cover rental accommodation damage abroad. Your sending the deposit payment in response to this booking reservation constitutes your acceptance and agreement to the terms, conditions, limitations and restrictions as printed above. Your contract with the Supplier(s) of your Arrangements will be governed by the law and any dispute between you and them will be subject to the jurisdiction of the courts of the country or countries specified in the Supplier’s terms and conditions. These terms of business and your dealings with Above & Beyond Sarl are governed by Swiss law and regulation.